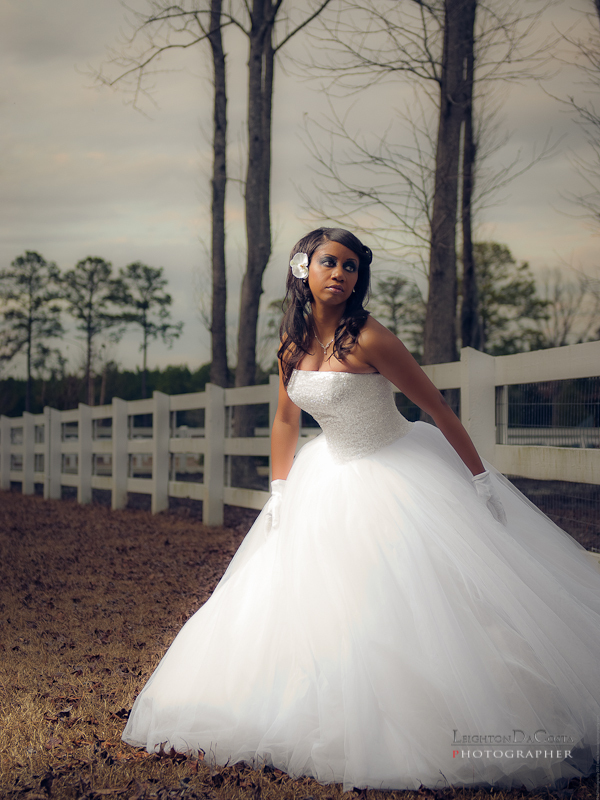 Autumn 2010, a few months before her wedding, one of my brides, Ebony, decided to take part in a formal bridal dress session. I've always loved seeing large, fine art prints of brides. There was just something majestic and regal about it. This was my first time working with the amazingly talented, Timothy Cabell, of Savannah, GA. Timothy is an award winning and internationally competitive Hair and Makeup Artist. The session took place at the SCAD stables, located just outside of Savannah on the South Carolina side of the border. 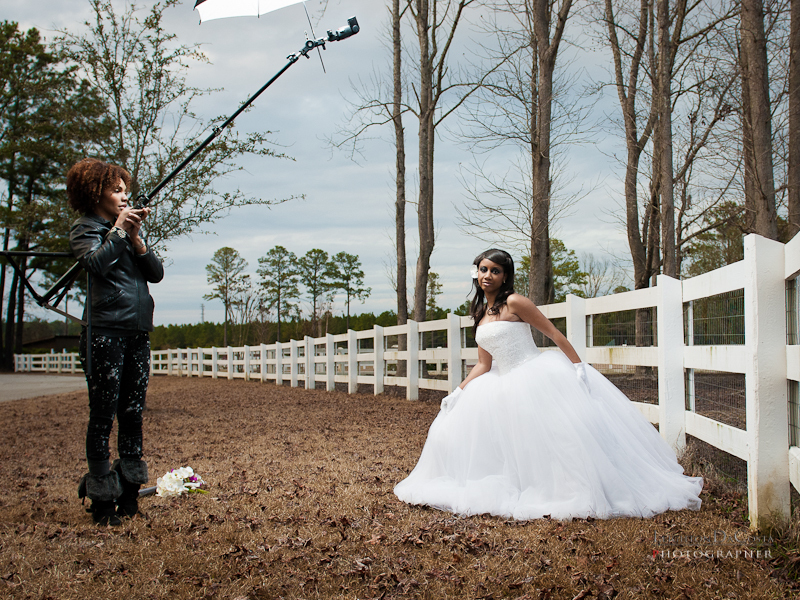 My wonderful lighting assistant was Hair stylist and educator, Shameka LeCounte, of Jacksonville Florida. Dress and accessories provided by David's Bridal Savannah.